The tragic loss of their unborn child has devastated Kate and John, taking a toll on both their marriage and Kate's fragile psyche as she is plagued by nightmares and haunted by demons from her past. Struggling to regain some semblance of normalcy in their lives, the couple decides to adopt another child. At the local orphanage, both John and Kate find themselves strangely drawn to a young girl named Esther. 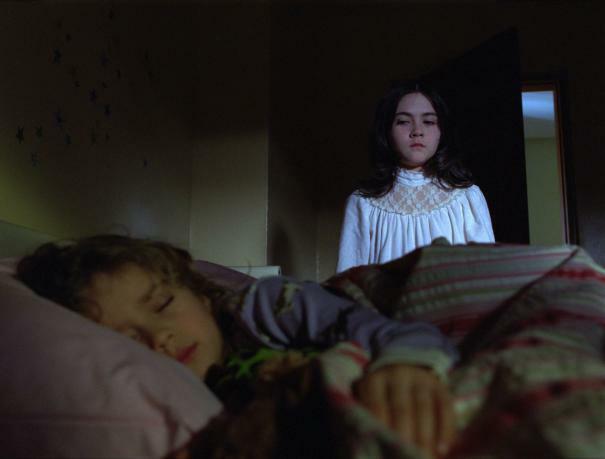 Almost as soon as they welcome Esther into their home, however, an alarming series of events begins to unfold, leading Kate to believe that there's something wrong with Esther--this seemingly angelic little girl is not what she appears to be. Concerned for the safety of her family, Kate tries to get John and others to see past Esther's sweet facade. But her warnings go unheeded until it may be too late...for everyone.